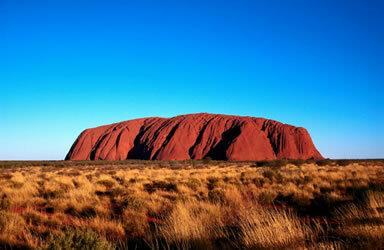 Experience the magic of Australia's vast continent on the mighty Indian Pacific. Travelling between Sydney & Perth via Adelaide and vice versa, the Indian Pacific covers 4,352 kilometres providing a spectacular array of backdrops including the Blue Mountains, the salt lakes and vineyards of South Australia, the barren Nullarbor Plain and the Avon Valley. Spot kangaroos and a variety of bird life including the Wedge-tailed Eagle ~ the Indian Pacific's emblem. Enjoy this extraordinary journey of contrasts. Indian Pacific's Gold Twin cabins offer you all the comfort, hospitality and facilities to make your train holiday a truly special and memorable experience. They pride themselves on making sure your every need is taken care of. Platinum Service Double/Twin Cabins & Gold Service Single Cabins are also available on request. Participate in Off-Train Excursions that have been specially designed for rail stops. Broken Hill: Explore the quirkiness of the Silver City and enjoy a drag show and the artistic culture that also abounds in the area. Adelaide: Explore the city sights, and the beautiful buildings that make up the cultural boulevard of North Terrace. Alternatively, awaken your senses with a tasting tour at the Central Markets, a bustling fresh produce market that has been a favourite with locals for 140 years. Cook: Stretch your legs and explore the old railway town of Cook. Use the self-guided map provided to walk around the town and explore. Sun Princess truly lights up the seas, serving up tantalizing cuisine, dazzling live entertainment and new experiences with our Discovery at SEA™ programs. Relax in The Sanctuary, a tranquil haven reserved for adults, or put your feet up at Movies Under the Stars®. Make any moment on board a celebration and say cheers with award-winning cocktails, fine wines and ice-cold beer with your loved ones or even new friends. Be immersed in culinary adventures unlike any other at sea. Award-winning chefs bring you the freshest, most exquisite dishes, crafter to exceed expectations of even the most discerning appetites. Immerse yourself in a carefully crafted shore excursion to experience the true colours, cultures and flavours of the regions you're travelling to. Led by reputable operators with local expertise, our excursions come with assurance of guaranteed return to ship. Choose from a wide variety of excursions in each port, with something for every type of traveller. At the end of each day's adventures ashore, we want you to feel welcomed home. With a variety of tastefully appointed suite and stateroom options offering wonderful amenities and trademark attentive service from our friendly staff who knows what hospitality means, you'll find that your Princess® ship is truly your home away from home. There's fun for every age on board your ship. From designer stores to the Piazza and areas designed for a little piece and quiet, there are endless ways to spend your time at sea... what will you choose? Your rail journey ends here. * Valid for sales until 17 May 2019 or until cruise/rail fares sell out. * Prices are in New Zealand Dollars per person twin share inclusive of taxes, & government fees. * Hotel accommodation is based on two people sharing a room in the lowest room category. * Additional accommodation may be required to fit in with availability and schedules at an additional cost. * A non-refundable booking deposit of 35% per person & full airfare payment is required within 2 days of reservation (by midday) Full payment of cruise & rail portions is due 155 days prior to departure. * High cancellation and amendment fees apply. * Exchange Rates: Prices quoted based on tariffs and exchange rates in effect at 11 Apr 2019. * Changes in exchange rates may occur and we reserve the right to adjust prices accordingly. * Airfares: based on return Economy Class Airfares from Auckland to Sydney, flying Qantas, if that is not available, other booking classes may be booked at additional surcharge. * Based on direct flights only.